I’m gluten-free. No, it isn’t by choice. Yes, it is necessary. No, I cannot cheat. Yes, I will get sick — possibly short-term, definitely long-term — if i ingest gluten. Celiac Sprue is an autoimmune disease. 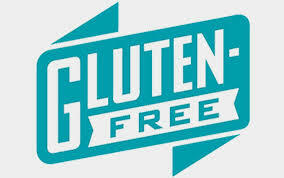 It is more than gluten-intolerance or gluten-sensitivity and is not “technically” a wheat or gluten allergy. Celiac symptoms can affect multiple body systems and not just the gastrointestinal tract or stomach. Some examples of other Celiac symptoms are skin rashes, joint pain, headaches, fatigue, and infertility, or abnormal or absent menstrual periods. I am not gluten-free because I’m “on a diet,” “being picky,” or “want special treatment or attention.” I am gluten-free because I have to be, not because I choose to be. Yes, you can eat that in front of me. “That” being, well, anything. I do not get mad, hurt, sad, or offended. Sometimes I’ll feel a pang of envy or a twinge of jealousy, but, honestly, I get over it in a practical millisecond. It is not easy to find gluten-free foods, but it has become a lot easier since I was diagnosed, and it certainly isn’t an impossibility or the end of the world. Being diagnosed with Celiac or having to cut out gluten for other reasons is not a death sentence, and your life isn’t over. It’s simply a lifestyle change that involves education and commitment. You cannot waver, and it can be challenging, but, trust me — you get used to it. Don’t pity me. I’ve dealt with worse than Celiac. It’s just food. I’ll be okay if I can’t have that donut, cookie, or chicken finger. Some gluten-free food is delicious. Other gluten-free food tastes like cardboard. Like “regular” food, there’s yummy stuff and stuff that tastes awful. I’m not autistic. However, children and adults with autism can greatly benefit from a gluten-free, casein-free diet. It has been shown to benefit other conditions, too. Here’s a mind-blowing fact: some items that contain wheat or wheatgrass in its purest forms contain little-to-no gluten and can legally be certified as gluten-free. That said, some individuals are far too sensitive to eat these foods or take these supplements, while others, even with Celiac, can tolerate them just fine. However, if you aren’t sure, you shouldn’t risk it. If you’re adamant contact your doctor, nutritionist, dietitian, or health coach for their opinion on the matter. It is usually recommended that someone within the first year of a Celiac diagnosis and being gluten-free avoid these items at all costs. Gluten can hide in cosmetics and beauty products such as lipstick, lip balm, toothpaste, face wash, and more. There is a form of Celiac that is called Refractory. It means you don’t respond to the gluten-free diet. Untreated or undiagnosed Celiac can lead to malnutrition and malabsorption of nutrients. Vitamin deficiencies can wreak havoc on the body. This lack of absorbing proper vitamins nutrients, minerals, etc. is one of the hallmarks of Celiac disease and it is probably the most dangerous component. People who just have a gluten intolerance or gluten sensitivity do not have this issue, usually. They may get an upset stomach or other tummy issues or bodily discomfort from eating gluten but it isn’t causing an autoimmune reaction in the gut as is experienced with Celiac patients. Do you have Celiac yet continue to eat gluten? If you have answered yes, you’ve given the wrong answer. Doing so GREATLY (monumentally!) increases your risk for cancer, particularly intestinal lymphoma. That said, Celiac isn’t all that scary. It can be serious, but it’s not the Big Bad Wolf. It’s better to be diagnosed and go gluten-free than to live with the illnesses and let it get to a more villainous status. Trust me — the inconvenience of not being able to find something to order off the menu at McDonald’s or the local Italian joint is a lot better than the inconvenience of being in and out of the hospital for the rest of your life. If you think you may have this genetic, highly-hereditary autoimmune condition, you should get tested. Your doctor can order a battery of tests (the more thorough, the better — many doctors order a very generic standard test that can have both false positives and false negatives, and often does. What use is that?) Perhaps see a gastroenterologist, immunologist, or someone who specializes in Celiac disease. The “gold standard” of diagnosis is an endoscopy with biopsy. It’s worth knowing if you have it, especially if you feel rotten after eating gluten. So, there you have it, 15 facts about my life with Celiac. I’m traveling and my excitement over a “Gluten-Free Is Here! See Our New Menu” sign at the Atlanta Airport made me realize how great it is that more people are “catching on.” I thought I’d contribute to the knowledge by sharing my personal journey with Celiac and some facts about the condition and being gluten-free! Tags: Arthritis, Arthritis and Celiac, Arthritis Ashley, Ashley Boynes-Shuck, Autism, Autoimmune, Celiac, Celiac Disease, Celiac Sprue, Celiac Sprue Disease, Chronic Illness, diet, G-Free, Gastroenterology, GF, gluten free, Gluten Free Diet, Gluten Free Lifestyle, Gluten Free Living, Health, Immunology, joint pain, nutrition, Refractory Celiac, Refractory Celiac Sprue, Refractory Sprue, Wellness. Bookmark the permalink.